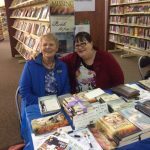 Cindy Vallar retired from her career as a librarian to persue her passion for writing, now working as a freelance editor and full time writer, a career that holds a special place in her heart. 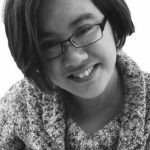 She holds a Bachelor of Arts degree from Towson University and a Master’s degree in Library Science from the University of Maryland. 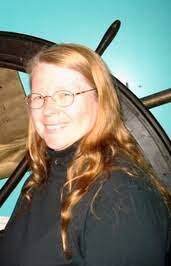 Her passion for pirates and historical fiction are evident in her work and her column, Pirates and Privateers. Her website, Thistles and Pirates, serves as an amazing platform to communicate with her readers and others passionate about rich history, and the importance of bringing the past to life. An amazing woman, and a pleasure to interview. To start, tell us a little about yourself- about your life in Pennsylvania, career as a Librarian, etc. I was born and raised in Lancaster County, Pennsylvania. I am the oldest of four girls, and Mom often called us her “Little Women.” I remember one Christmas she gave each of us a Madame Alexander doll, each depicting one of the girls in Louisa May Alcott’s Little Women. Mine was Meg and she remains one of many treasures in my foreign doll collection – a hobby I acquired from my mom. Growing up, I liked to pretend to be a teacher. This eventually led me to pursue a major in education and I became a school librarian. I also spent time as a special librarian for a tax-writing software company and as a public librarian. During my senior year of college, one of my mom’s friends introduced me to a gentleman who once lived up the street from me. School had brought us both to Baltimore, Maryland, but seven years apart. He sent me a letter and his name was familiar, but I didn’t know why. When I asked Mom, she told me his mother had been my Sunday school teacher and I went to elementary school with his youngest brother. Tom had been our newspaper boy, and Mom thought he had become a minister. Knowing I would not make a good minister’s wife, she recommended that I not answer his letter. Of course, I did – we just celebrated our 39th wedding anniversary. And no, he did not become a minister. I love to read and do research. When we moved to Texas, we selected a house that allowed me to have a dedicated library. When visitors enter our home, they step into my library, which is filled with shelves of books, our former dining room table, and the cabinet displaying my doll collection. A model of a schooner from the age of sail occupies one end of the table where I now do my research. The walls are decorated with pictures of family and artwork from places we’ve visited. When I’m not reading or working, I enjoy doing jigsaw and crossword puzzles. I love listening to old time radio shows like The Shadow, Tales of the Texas Rangers, Gunsmoke, and Yours Truly Johnny Dollar. After twenty years as working as a librarian, when did you decide that you wanted to pursue writing as a career? I never started out to become a writer, although I did write poetry and attempted a mystery short story or two. Anytime I found myself listening to a boring lecture in class, I doodled, but my scribbles involved descriptive writing instead of tic-tac-toe games, connect the dots, or drawings. This stems, in part, from my vivid imagination. When my ninth-grade English teacher asked for a descriptive paragraph, I began writing about an abandoned mansion. What started as a single paragraph soon grew to be three pages long. My senior English teacher had us write poems in the style of Chaucer’s Canterbury Tales; she recommended I submit “The Traveller” to my high school literary magazine and it became my first published piece. In college, several of my poems received special awards and were published in American Collegiate Poets anthologies. Toward the end of my library career, I worked in a private school for severely emotionally challenged adolescents. This was a stressful environment and to relax, I wrote. During a staff meeting, I started writing about a lone rider traversing the moors of Scotland during a thunderstorm. The English teacher, who was reading over my shoulder, said to write more. And I did. Eventually, that initial idea became my first published novel, The Scottish Thistle. When we moved to the Midwest, I no longer had to have a day job, so I began writing full-time. Initially, my portfolio contained published book reviews, but then I started writing a column about the history of maritime piracy. This year I celebrate my seventeenth year of writing and publishing online Pirates and Privateers. My second column was “The Red Pencil,” an editing column that appeared for thirteen years in the Historical Novel Society’s Historical Novels Review. HNS has also published several non-fiction feature articles of mine over the years, and some of my pirate articles have appeared in other online and print publications. Making a lot of money. Devoting your entire time to writing. Writing is easy. Your story doesn’t need to be edited or revised. Have you always been interested in writing historical fiction? For as long as I can remember. Mom introduced me to historical fiction when she recommended I read one of her favourite childhood stories, Snow Treasure by Marie McSwigan. She later introduced me to some of her favourite authors, but I’ve since acquired my own list of favourite books and authors, some of whom write historical fiction and some who write contemporary thrillers. Following this, what do you think is the most important aspect of historical fiction, to bring the past to life? For me, it’s the research. Good historical fiction requires the writer to become so immersed in all aspects of the story’s time period that it’s as snug as a well-made glove. There’s far more to history than simply the events of the past. A writer also needs to know about the culture, the traditions, the people, and so much more to fully grasp how their characters might act and develop at this specific time and place. Only perhaps 10% of your research will actually be visible when the book’s done, but the thoroughness of your knowledge brings the time period to life. Do you always stay 100% true to the historical events your stories are written about, or do you mould the truth slightly to make for a more interesting story? Since I don’t write alternative historical novels, the simple answer would be yes. My stories often involve a real event, such as the Rising of 1745 or the Battle of New Orleans in 1812. The actual encounters, the historic personages who were involved, the weather – I stay true to those, as long as we know who was there, what happened, etc. If I only wanted to write the history, I’d write nonfiction. There are times when I tweak history, so to speak, to fit the characters and the story into the historical timeline. For example, in The Scottish Thistle, the persecution of Clan Gregor plays an important role in who my heroine is and why she does what she does. The story takes place between 1744 and 1746, which historically occurs after the worst of the persecutions. I inserted examples of it into Rory’s back story (her childhood). Whenever I do this, I differentiate between the fiction and the facts in my author’s note at the end of the story. The Rebel and the Spy, set in New Orleans and The Scottish Thistle, set in Scotland, are landscapes very rich in culture. Do you find it helps to go to the places you are writing about? I do, but I learned the hard way of why. Several Scots, who read either the excerpt from The Scottish Thistle or the entire manuscript prior to the book’s release, sent me notes suggesting I might want to make changes because my depiction wasn’t true. I especially appreciated their input later when I actually visited Scotland and realized the woods where I grew up are quite different from those in the Highlands. So are the bugs. The importance of visiting was also reinforced when I met with Kathleen McGowan in Dallas. I was spotlighting The Expected One in my column, “The Red Pencil,” and she mentioned reading a novel for an author who wanted a quote to use for publicity purposes. The story was set in an Italian city that Kathleen had visited several times, so she was familiar with the geography. The author had not and his description was wrong. That error can be fatal; it destroys the reader’s trust and has the potential of jerking the reader out of the story. It’s equally important, though, for historical novelists to remember that the places we visit are not the same as they were in the past. For example, the French Quarter in New Orleans has changed significantly since the War of 1812 – a fact reinforced when an antiques dealer saw us taking pictures of some of the older buildings. He shared quite a bit about the changes that have happened, which helped a lot, but also required me to do more research and to pay attention to contemporary descriptions of New Orleans. Visiting places, however, requires money, which isn’t always readily available because of our everyday life expenses. The Internet has helped with this, allowing me to “visit” places through pictures and virtual tours. I come across a research gem every once in a while. A year ago, I was researching Baltimore, Maryland in 1814. I used to live in Fells Point, where Thomas Kemp built his famous privateer schooners, but his shipyard has long since disappeared. I stumbled upon the University of Maryland Baltimore County’s Imaging Resource Centre’s Early Baltimore (http://earlybaltimore.org/) where they visually recreated Fells Point and Baltimore in 1815. I spent hours studying their site and constantly referred to it while working on the scenes in The Rebel and the Spy that take place there. I think initially it was my teachers who assigned topics I had to write about. Most of the time these were research papers, but in freshman English, Mr. Newcomer gave us a number of fiction-writing assignments. I also recall being inspired to write because of the stories in my Girl Scout magazine. Today, it tends to be the authors who write the really good stories that I read. Equally important inspiration comes from my husband and my parents, as well as my readers. Where did your love for pirates come from? I tend to call it a passion, rather than a love of pirates – they are criminals and some were quite nasty – but I blame Walt Disney. Had his introduction of an episode featuring Jean Laffite, the mysterious gentleman pirate who helped Andrew Jackson win the Battle of New Orleans, not stirred my imagination, I wouldn’t have started researching piracy. Of course, my husband must also bear some of the blame. He told me I could retire from my full-time career to pursue writing, which led me to searching for publishing opportunities. That’s how I stumbled upon Suite101.com, a database where people passionate about subjects could write regular columns. I wanted to write about Scotland, but four other columnists were already doing that. When I thought about what else I could write on that I already knew about and could do so for a long time, the only other subject I thought of was pirates. And no one else was writing about them. This is how my maritime column, Pirates and Privateers, was born. Initially, it ran on Suite101, but policy changes eventually severed our relationship and I moved the column to my website. Your website, Thistles & Pirates, contains articles and insights about you. Do you think it’s important to have this platform to communicate with your readers? Do you have a favourite character you have written? My favourite character has to be Rumble the dragon. I never would have created him if not for pirates. Nor would I have ventured into stretching my comfort zone to include historical fantasy. But Rumble, a misfit adolescent dragon who often feels like an outsider, totally captured my imagination. Do you find you write yourself into your stories, either through narration or characters? Perhaps a little, after all it’s my own life experiences and thoughts that impact me, so how can these not also seep into my characters? But some characters are more outgoing than I am. They also lead far more exciting lives than I do. Yet it’s important to also know that none of these characters are me. Each of them and I are different. We sometimes agree; other times we don’t. Your novels are published both on paper back and e-books; do you think it’s important to publish on both platforms to reach a wider audience? Definitely. The wider your audience, the more apt you are to find your readers. When my first book was published, e-books were in their infancy. Now, they hold their own and many e-fiction titles actually outsell their print versions. Do you find it difficult to edit your own work? Sometimes, because I don’t always see a problem until someone else points it out. But it’s also very hard to turn off my editor’s eye. I often begin the next day’s writing by rereading what I wrote the day before. It helps get me to the right mindset, and I often edit as I reread. I also know as an editor that writers should never rely on just themselves. We’re too close to our stories and characters. The editor brings fresh eyes to the story and can suggest ways to improve it to make the nuances shine. What do you think is more important; to write what you love, or write what is current? I might be in the minority, but I write what I love and it’s rarely current. Themes are timeless, and I think they’re more important than writing whatever time period or event has grabbed the attention of readers and publishers at the moment. What’s popular one week may be out of favour the next. I also believe if I love what I’m writing, that love is transformed into the words and the stories I write and the readers notice this, even if they aren’t always aware it’s happening. What is the driving passion behind your writing? To finish what I start. To see what begins as an idea evolve into a complete story with three-dimensional characters. Finally, write a question you wish someone would ask you about your writing, and answer it yourself! Q: You began working on The Rebel and the Spyfour decades ago. Why has it taken so long to write? A: Although I’m still working on revisions to this historical novel, finishing it is finally within my grasp. I was just out of high school when I started and back then, I knew little about the craft of writing. That requires study and time, which I lacked because I was focused on earning my college degree and beginning my career. Job, marriage, and home also took precedence in my life. When I began this story, I never set out to publish it. It was just something I felt compelled to write. Also, I lacked some essential skills in researching and knowing what information I truly needed to write the story. In high school only guys were permitted to take computer courses and the Internet was unknown to most people. Nor did most people have a computer at home; I certainly didn’t, which limited my access to research material since I lived far from New Orleans. The flip side of this is what we know now about Laffite and the pirates of Barataria today was unknown back then; the facts I needed just weren’t available. When I started writing to ease the stress in my life, I also had to unlearn some lessons my English teachers taught and learn new ones pertaining to writing fiction. During this phase in my career, another idea drew my focus and locating relevant research about Scotland was much easier. Once The Scottish Thistle was published, I spent much of my time promoting the book and meeting publishing deadlines. Anyone who visits my website easily notices that I wear several hats – writer, editor, workshop presenter, reviewer, columnist – so my waking hours are filled with other responsibilities that require as much of my attention as novel writing. Eventually, something gives. Unfortunately, that was Rebel because I wasn’t as connected to the story or the characters as I needed to be. Shortly after more research became available and accessible and the connection I needed to my characters finally materialized, I started to experience severe pain that over time became crippling. The downward slide took about one and a half years until I reached the point where I spent most of the day sitting and moving as little as possible because the pain was unbearable and the doctors didn’t know what was wrong. It was a dark time that I don’t ever want to revisit. Then I met with a new rheumatologist and she diagnosed my disease as Ankylosing Spondylitis, an inflammatory arthritis and an autoimmune disease. She put me on a biologic that gave me back my life. This is why it’s taken me so long to complete The Rebel and the Spy. Being able to walk and sit, to think and write now allow me to devote time every day to finishing the novel. I hope to soon be able to send it out for submission. Below is a list of the websites and columns mentioned in the interview!